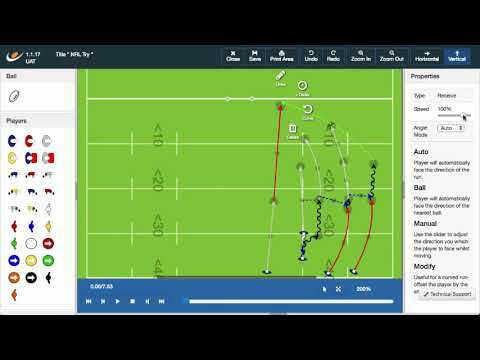 The BRAND NEW Sportplan animator brings your drills and set pieces to life. No longer is there a need to create over designed diagrams - simply press play and go! The animator uses a unique action-based animation technology; just like in a game, every player's action relies on the previous action or the action of another player or the movement of the ball. No need to be a Hollywood director to make your animations, there are no timelines here. Simply draw it how you would describe it. Week 1: Navigating the animator, as well as placing and positioning icons.